Attributing human characteristics, thoughts or purposes to non-human animals, plants or other inanimate materials or beings, including ‘god/s’. For example, ‘to describe a river as angry’ is to anthropomorhise it. A big mistake when handling dogs is to believe (when they aren’t behaving exactly as you want them to behave) that they are deliberately being naughty, willful or belligerent. Dogs cannot even spell those words – let alone be them – yet around the ringside at dog shows you hear it all the time. For example, do any of these statements sound familiar? If you allow yourself the indulgence to believe these anthropomorphic misnomers, your handling finesse is doomed to failure. Why? Because these words describe human traits not dog traits. Rover isn’t human. Rover is just a dog doing ‘dog’ things. When a dog that we are handling in the ring does not perform the tasks we expect of them, we may mistakenly believe that Rover has conjured up some kind of sinister plot just to defy us. This misinterpretation can lead to disaster because our reaction to our dog’s actions will be misguided at best and woefully inadequate at worst. As a handler, I never try or attempt to interpret what my dog ‘might’ be ‘thinking’. Instead, I limit my human-centric opinions in favour of two simple reasons why my dog has not done what I have asked of them. I have confused the command or signals that I’ve provided to my dog. My dog does not regard me as the ‘top’ dog (or leader) in our relationship. I will now breakdown how you can respond to each of these problems. 1 I’ve confused the command or signal. Should any of these commands or signals be out of sync, i.e. you intend to calm your dog but instead send them an action signal, or combination of a calming and action signal, then your dog will be confused. As dogs cannot always guess what we expect of them, when confused they revert to their instincts and respond by doing ‘dog things’, which we often falsely interpret as being headstrong, naughty, willful etc. 2. My dog does not regard me as the ‘top dog’ or leader. If your dog does not consider you as the ‘top dog’ or leader in your relationship, why should it do what you want when you want them to do it?Even if you are the ‘top dog’ in your relationship with your dog, it’s still your dog’s natural precondition to keep testing you all of its life. Within the laws of canine packs, this is nature’s way of ensuring that the ‘top dog’ that your dog places its total trust in for everything must always be worthy of the position as their leader. 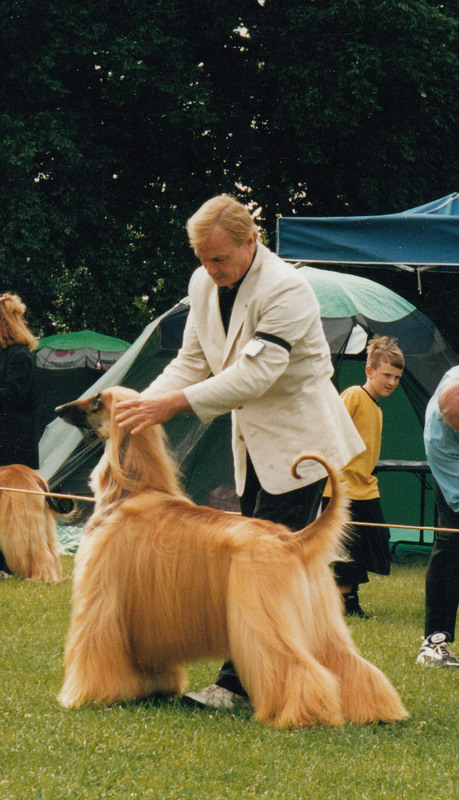 A classic test of dog and handler in the show ring is when we place the feet and then our dog moves a foot. 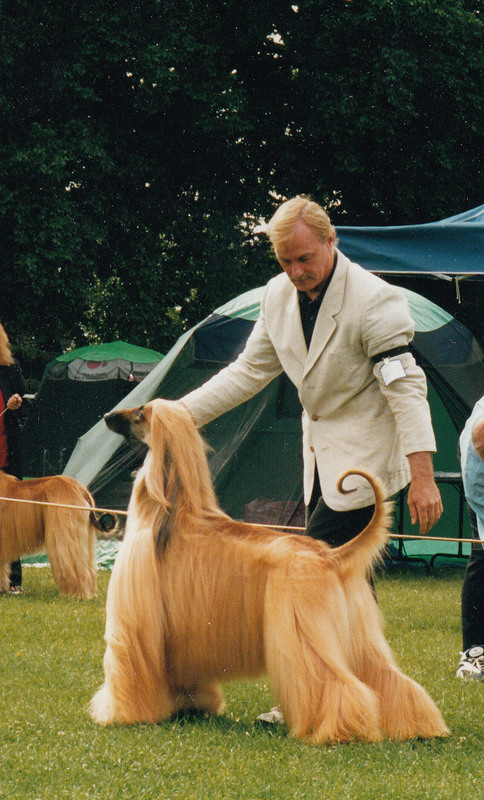 When unsure in the show ring, dogs often contest their leader. This might include not standing still for the judge, moving about on the stack or not performing on the move as your require. When you need your dog to do something in the ring but they ‘act up’ or become ‘naughty’, ‘headstrong’ or ‘willful’, do not become cross or angry just because you’re being challenged. On the contrary, I encourage you to be thrilled that your dog just wants to check if you are serious about your leadership competency and status. Whenever your dog challenges you in the ring, I urge you to keep in your mind that this is just a test for the position of TOP DOG and the winner is the one who NEVER GIVES UP. The most beautiful part about these tests is they are unlike any other. While you cannot control a particular judge’s preferences (or politics! ), if you follow these basic principles then you’ve won before you start. Yes, for the first time in your life you cannot fail a ‘judging’ test. All you have to do is remain consistent and persistent and, if you do so, you will always win something more important than a blue ribbon; you’ll be winning that so-called ‘naughty’ dog’s trust and respect. Kerrie and John, Enjoy your holiday up north and it is wonderful to hear that John is handling “Bundy” with all the things we have been working on and is seeing the reward. I am thrilled for you both! Remember you can keep the ribbons and prizes but the Glory goes to me – just kidding although when you come to the next Handling workshop you will have to take centre stage.